A real test of someones' character is how they act when they think no one's watching. This is exactly why hidden camera social experiments are so poignant. Unfortunately, these experiments usually produce negative results — but every once in a while, strangers will act so compassionately that it may actually surprise you. The video, created by Spain's State Federation of Lesbians, Gays, Transsexuals and Bisexuals, calls on the public to "report homophobic, biphobic and transphobic threats, insults or attacks." 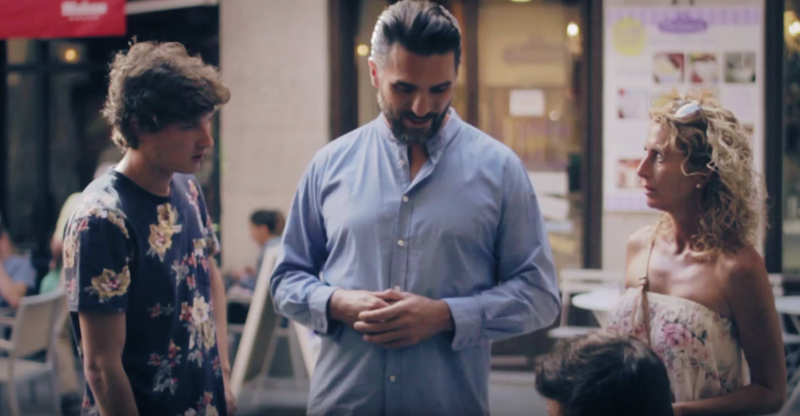 The premise of the hidden camera social experiment is this: A gay couple from the U.S. are in Spain on vacation and don't know the language. So they stop people on the streets for directions and to translate this letter, given to them by their hotel owner. To the locals' shock, the note is filled with homophobic remarks and hatred. You can see the sadness on these strangers' faces while reading the homophobic note. One girl, who cannot bring herself to translates what the note actually says, tells them "It's better if you go to another hostel, because this one is not very good." Another man tells the couple, "You go with this to the police, they can close his business." And a woman, visibly upset, calls the note "disgusting."